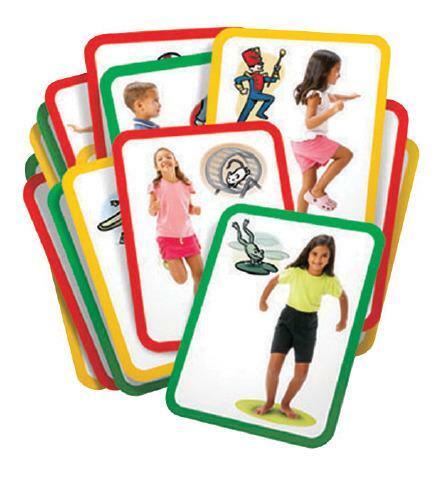 Develop and practice gross motor movements with bright exercise cards. Each card is printed on the front with a photographic action pose and on the back with illustrated instructions. Three challenge levels. Includes idea guide. 16 photo cards. Dimensions: W: 8.5" x H: 11"